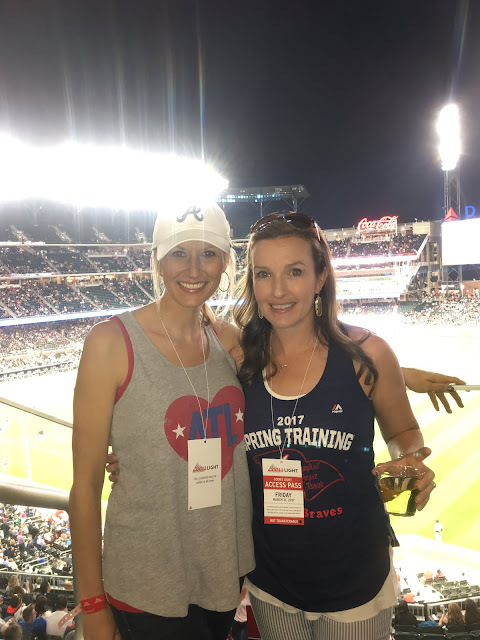 Jen and I are on Spring Break this week and we are enjoying a nice staycation at home, despite all of the rain and crazy storms Atlanta is experiencing. 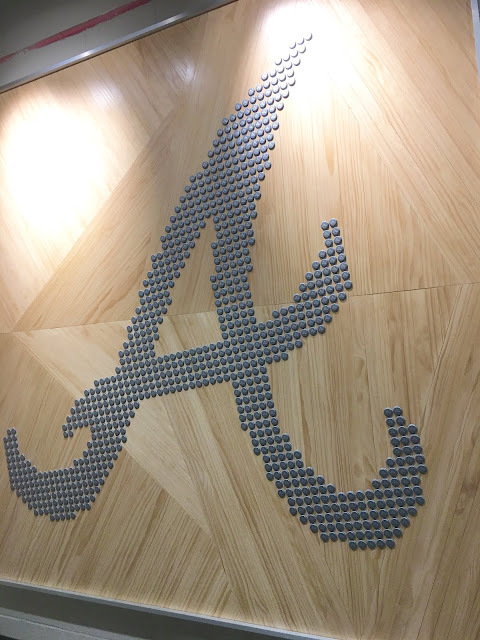 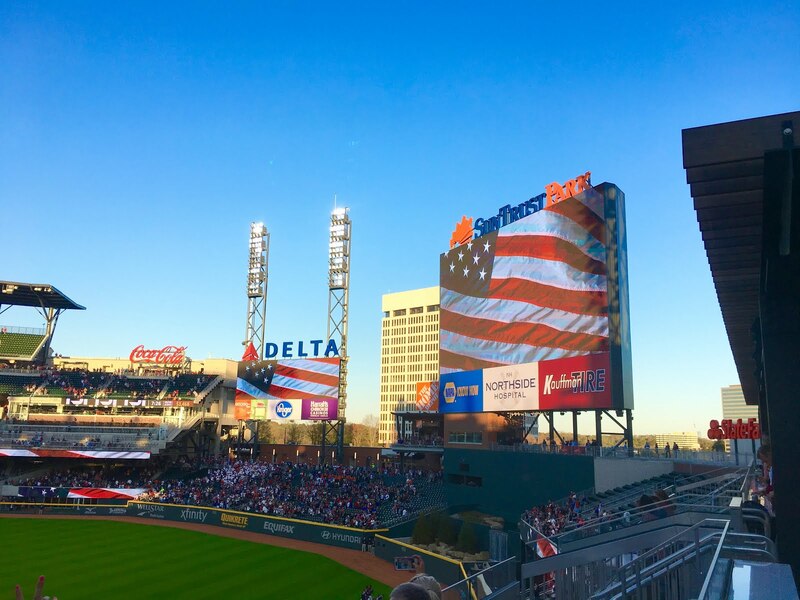 We kicked off our Spring Break last weekend with a fun, adult only evening at the brand new home of our favorite baseball team, the Atlanta Braves. 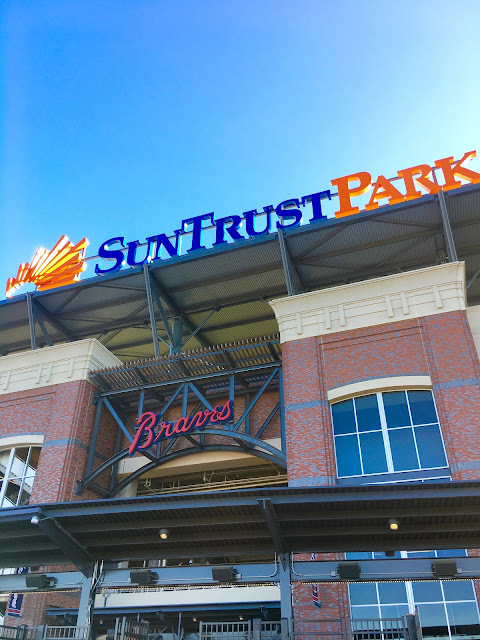 This is the first season the Braves will be playing at SunTrust Park and it is literally in our backyards. We're so excited to have this new stadium close by and last Friday night was the first game ever played in the stadium. 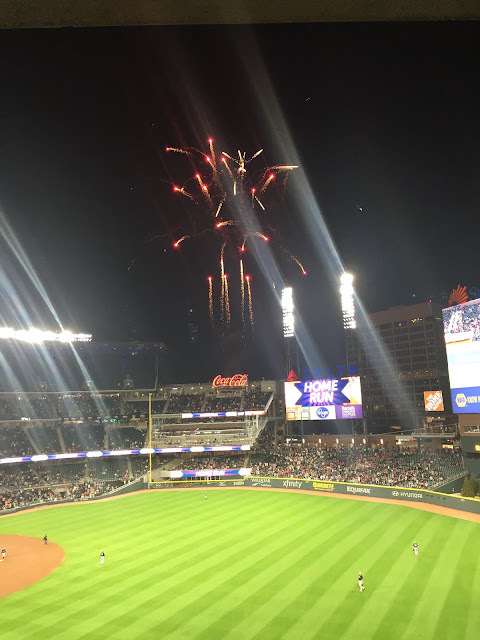 It was an "exhibition game" and we were so excited to be there. We got a special tour including seeing under the Chop House and we were all in awe. 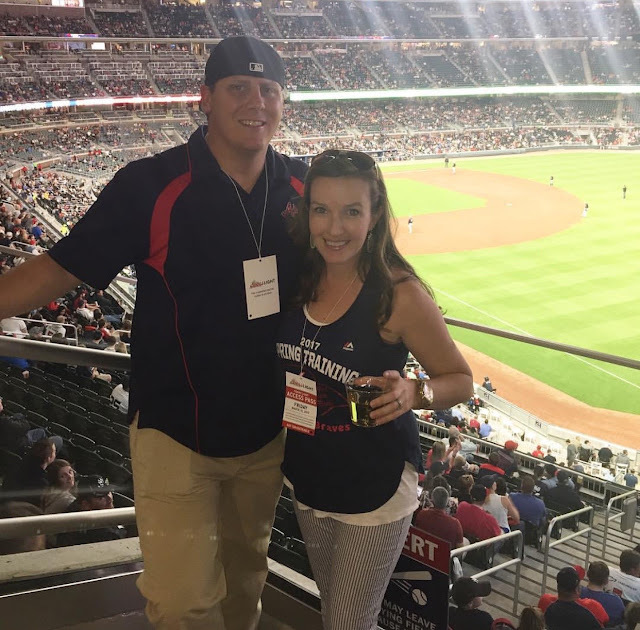 It took us to ground level and we were able to be right there with all of the action. We were in the outfield on the field level and all that was separating us from the outfielders was a fence. 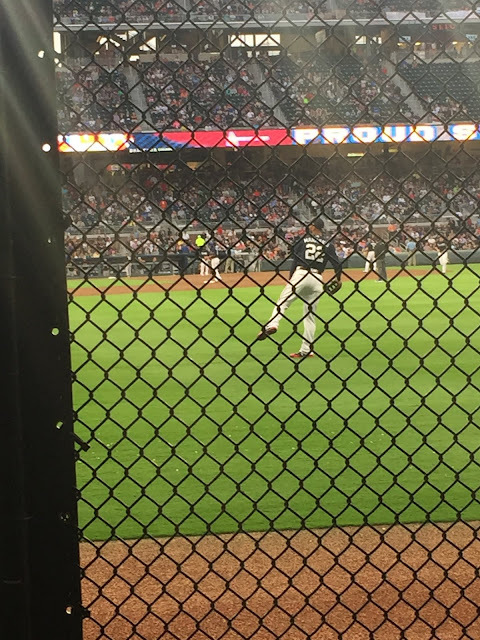 It was kind of surreal to see everything happening right in front of us. 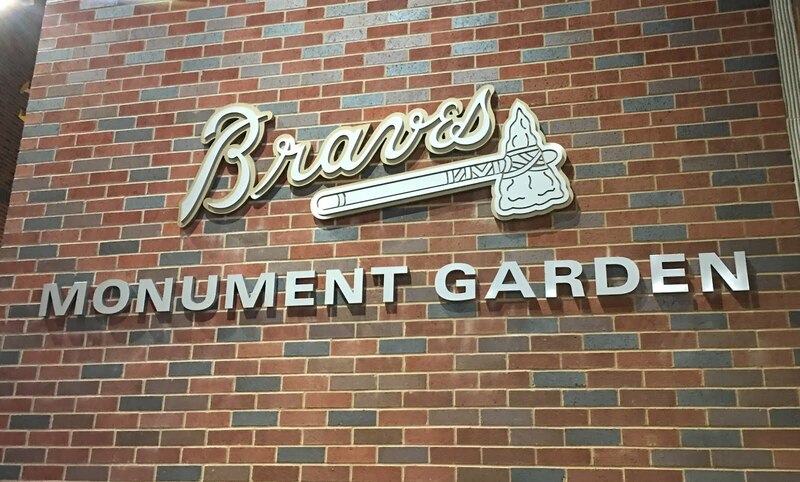 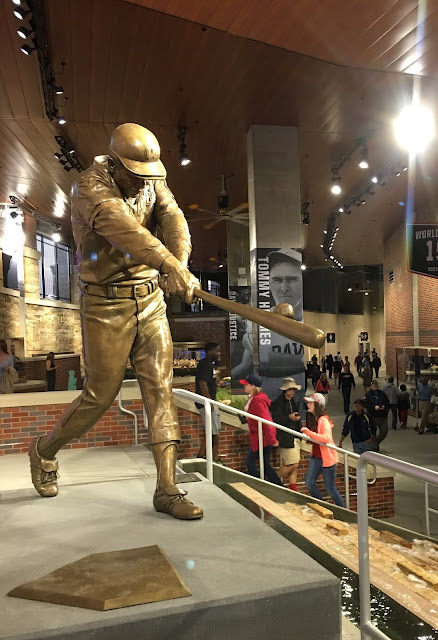 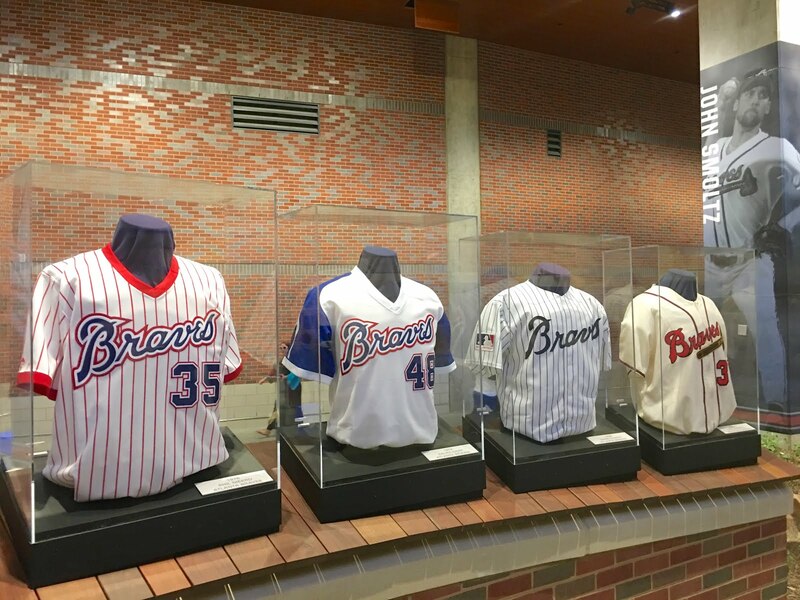 After some delicious food and drinks we made our way towards our suite, but stopped along with way to check out some of the attractions of the new stadium, including the Braves Monument Garden. 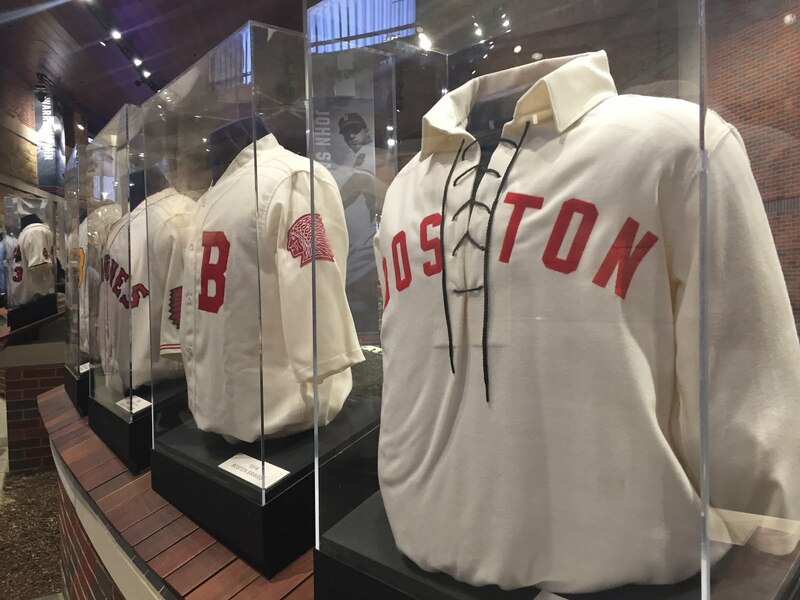 It was like a museum in the middle of the stadium and available for everyone to view including statues, history, and memorabilia. 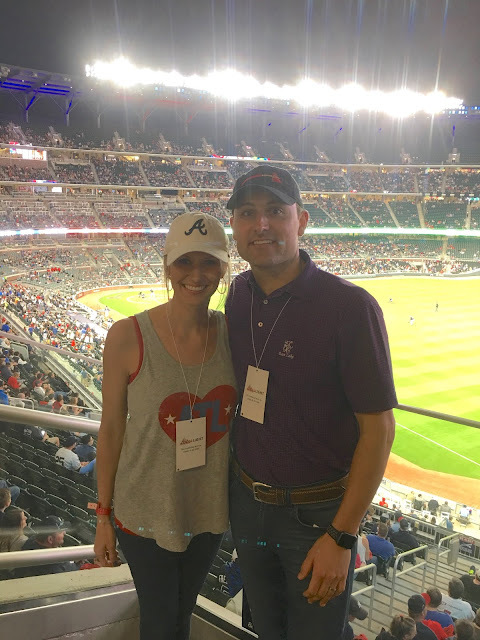 When we finally arrived at our suite we were loving the view, but kept saying that we couldn't wait to bring the kids and share the brand new stadium with them! 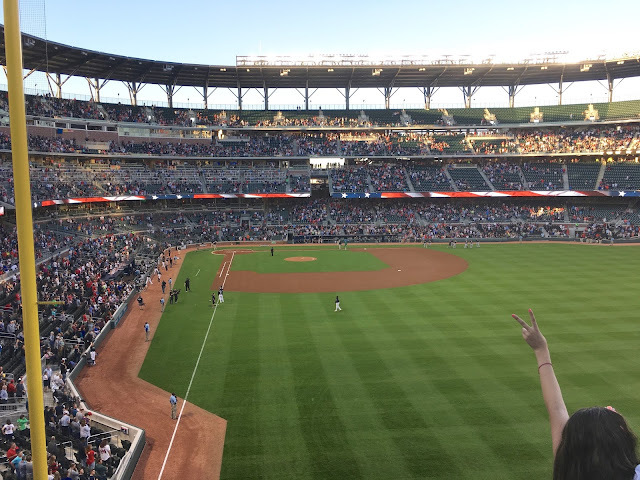 It was the first of many games we will attend at SunTrust Park, but it was a wonderful night and we can't wait for the official opening night next week!